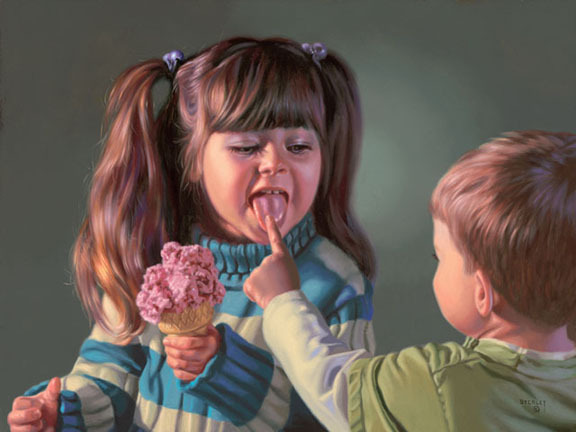 Alice explained to her brother: "Collin, my ice cream cone lasts longer than yours because I always start off by cooling my tongue down with a few preliminary licks!" Collin touched her tongue and understood. Grandma Smith added, "Remember, my angels, 'Cold tongue, warm heart'."